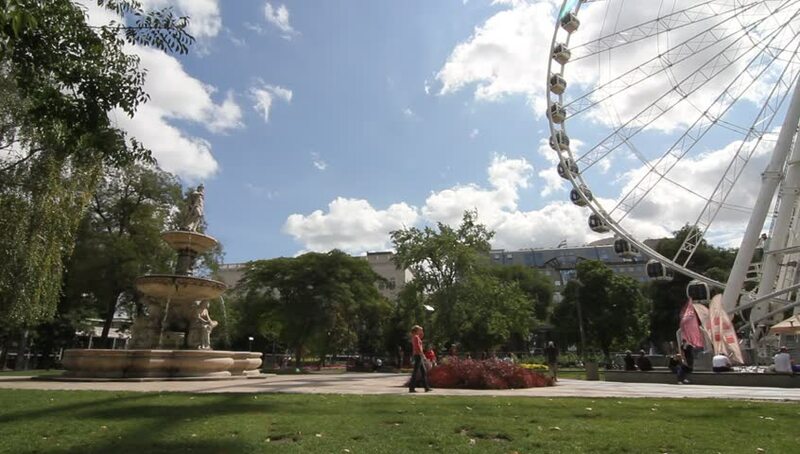 BUDAPEST, HUNGARY - SEPTEMBER 23: Ferris wheel on the Deak Ter square on September 23, 2014 in Budapest, Hungary. hd00:17NIJMEGEN, THE NETHERLANDS - MAY 2003: View from city park Nijmegen at arch bridge Waalbrug crossing river Waal + zoom in arch. hd00:20ADELAIDE, SOUTH AUSTRALIA - APRIL 8, 2017: Close up of the Adelaide Oval Stadium, home of the South Australian Cricket Association, situated in the parklands near Adelaide City, close up, handheld. hd00:05Monaco. September 10, 2016. The park in Monaco.